Three Days of Glorious Inspiration. 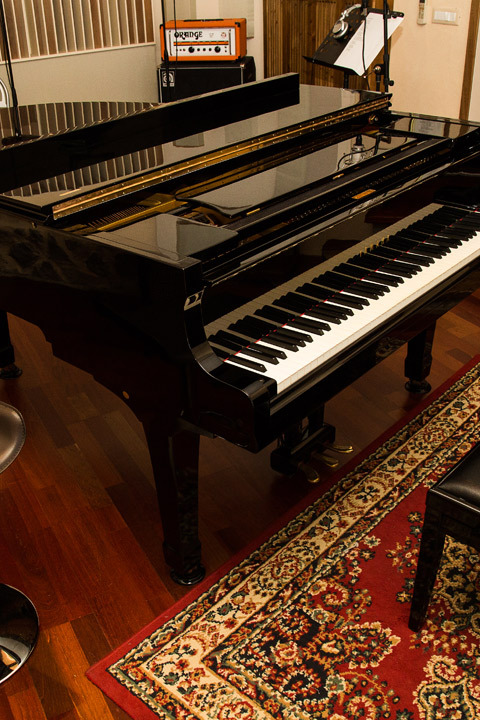 Our popular Bocelli Recording Experience Tour is dedicated to those who wish to record their own lyrics or cover lyrics at Maestro Bocelli’s favourite recording site: the Pierpaolo Guerrini Recording Studios. 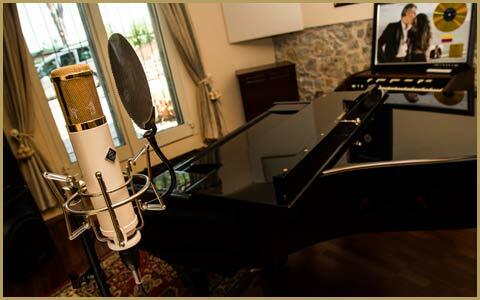 Whether you wish to record your lyrics recreationally or professionally, be ready for an unforgettable experience of sheer creativity and impressive professionalism which you will certainly find very rewarding. .
visit the popular Azienda Bocelli canteens of Poggioncino and sample the exclusive wine production with the Bocelli Family. Our Bocelli Recording Experience Tour makes a blissful experience for singers, music lovers and creative people who enjoy challenging and boosting their creativity within awe-inspiring scenarios. Upon your arrival at a Tuscan Airport or train station you will be picked up by your English Speaking Driver which will be at your disposal for the entire duration of your Bocelli Recording Experience Tour. He will accompany you to your exclusive accommodation: the sensational Bocelli FarmHouse nestled amongst the beautiful Tuscan valleys in Lajatico. On your arrival you will check in your luxurious private apartment where you will have time to relax and enjoy the scenery before your evening meal. When finished, you will return to the farmhouse where you will have the rest of the evening to enjoy yourselves as you prefer. On the second day of your unforgettable Bocelli Recording Experience Tour the lucky artist will spend their first day in the recording studio whilst the family/friends will be treated to a day of shopping at an exclusive Florentine outlet. The artist will be met at the recording studios by an English Speaking Driver who will provide an informative tour of the entire structure. Before leaving the comfort of the Bocelli Family FarmHouse, however, you will enjoy fabulous breakfast in the local café of Lajatico, including both sweet and savoury Italian specialities. 9 am – Afterwards, your English Speaking Driver will chauffeur you directly to the recording studios, nestled in the heart of Valdera. 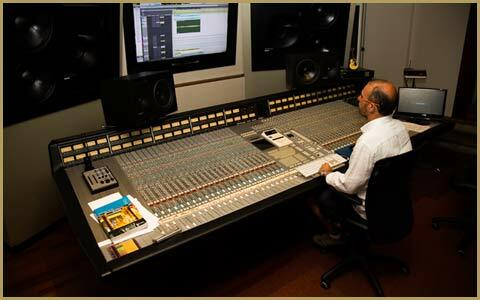 Upon arrival at the P.P.G Studios you will be welcomed by Maestro Pierpaolo and his professional team of Creatives. 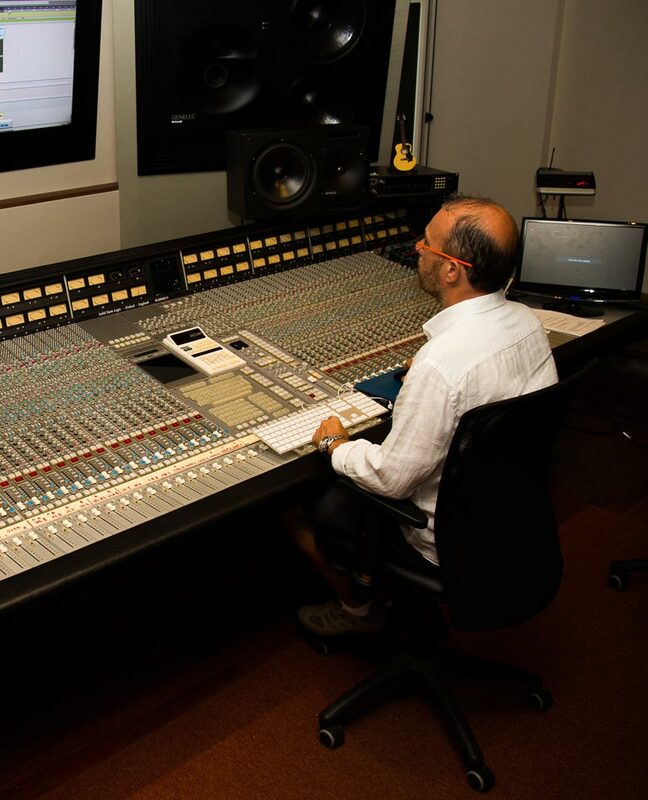 You will be introduced to the studios and take an informative tour in the local control rooms where Maestro Bocelli has arranged and registered many of his lyrical works. 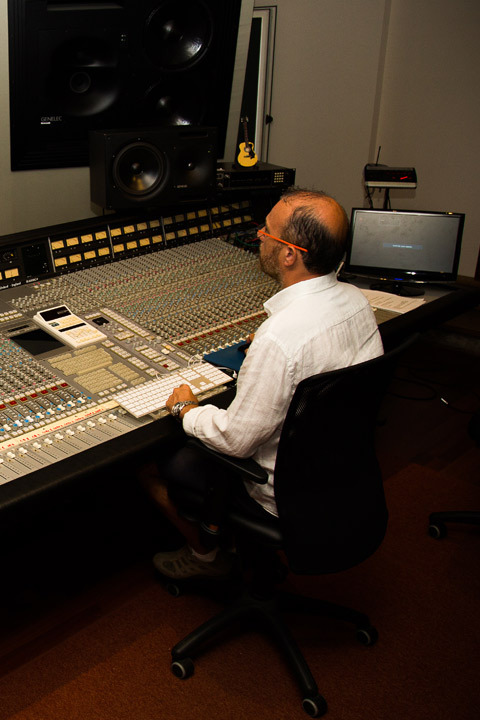 The studio is professionally equipped with only the highest quality facilities including an SSL 456 series G+ recording device with total recall and equipment to record and create remixes. The analogical quality of this equipment really is second to none ad within the studio there are also outboard, vintage and modern instruments, neve preamplifiers, massemborg equalizers, compressors for the MLA-100 mastering, various synthesisers and keyboard storaging such as the PPG wave 2.3. The artist will begin to organise his/her time spent at the studio with the help of Pierpaolo Guerrini and his staff. The days spent recording will also include a hearty lunch and a tea or coffee break at around 5pm. In the meantime, your English Speaking Driver will chauffeur the rest of your party to Barberini del Mughello. Here, you will be able to engage in a little retail therapy. The shopping complex houses a vast array of both designer and high street stores including the likes of Armani, Gucci and Dolce & Gabbana as well as more purse-friendly stores such as Guess, Intimissimi and Diesel. After having worked up an appetite carrying out some serious shopping, your English Speaking Driver will accompany you to an exquisite Tuscan restaurant for lunch Your English Speaking Driver will chauffeur you back to the Bocelli family FarmHouse where you will be able to spend the late afternoon doing as you please. 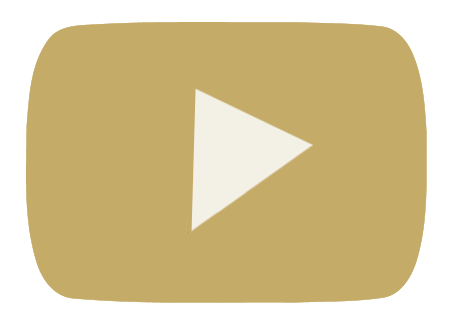 On the third day of the exclusive Bocelli Recording Experience Tour the artist will spend his/her last day recording at the Pierpaolo Guerrini Studios while the family/friends will be enjoying a very revitalizing Bocelli Countryside Escape experience. Firstly the artist will then be taken to begin the second and final full day of recording and then your English Speaking Driver will chauffeur the rest of your party to the comune of Volterra. Upon arrival the first thing you’ll visit is the town’s former Amphitheatre. The ruins of this remarkable Roman structure will give you the opportunity to have a wonderful insight as this town used to be into ancient times as well as offering breathtaking views of the surrounding countryside and quaint medieval town. Your next port of call will be Lajatico, where you will be arriving over the late morning. This is without a doubt a famous Borgo because is one of the region’s most beautiful towns as well the birthplace of Andrea Bocelli and where his family has lived for several generations. 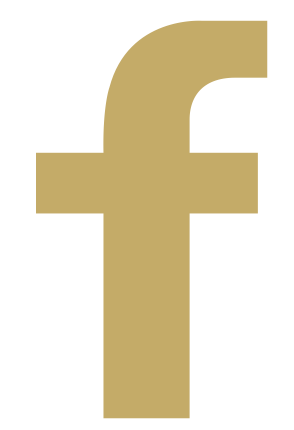 Your personal driver will take you to the to the historic heart of Lajatico where you will enjoy an exquisite Tuscan lunch at one of the region’s most appreciated restaurants. After having had a great lunch, you’ll find the luxurious Mercedes waiting for you and your English Speaking Driver will accompany you to the wonderful medieval town of San Gimignano. This stunning locality is famous for its fifteen ancient towers that still stand proud and dominate the town’s picturesque landscape. Pierpaolo Guerrini Studios the artist will spend the day finalising the tracks on his/her original or cover CD. He/She will enjoy a special final lunch together with the staff before agreeing on any final details before the disc goes into production. As always he/she will also participate in a tea/coffee break, perhaps even with a few tasty biscuits, before bidding farewell to the staff and awaiting his/her exciting new CD. 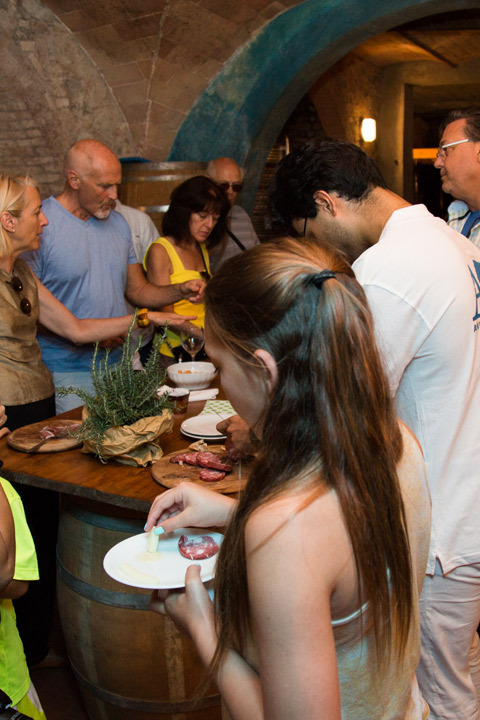 At the end of your refreshing afternoon in San Gimignano, your English Speaking Driver will collect both parties and accompany you back to the Bocelli FarmHouse where you will have time to get ready for yet another wonderful evening with an amazing four course Tuscan meal. When full you will relax in the nocturne paradise that surrounds the Bocelli FarmHouse estate while enjoying the last evening of your Bocelli Recording Experience Tour. On the fourth and conclusive day of your Bocelli Recording Experience Tour you will enjoy yet another yummy breakfast before giving your farewell to the peaceful local countryside and the Bocelli FarmHouse Here, we will say our Arrivederci and wish you a safe return journey after having experienced, what we hope to be, three of the most memorable and creative days on your tailor-made Bocelli Recording Experience Tour.